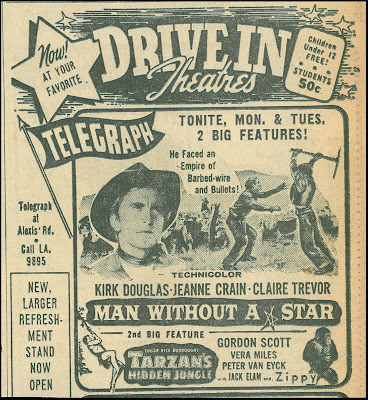 Jeff Chandler's star level was tics below Kirk Douglas', as were his westerns in terms of gross, but change was on horizons. Universal sought Douglas for Away All Boats and its enlarged budget with VistaVision, but upon his schedule conflict, realized Chandler would serve as well and promoted him to topline a following year's standout release. 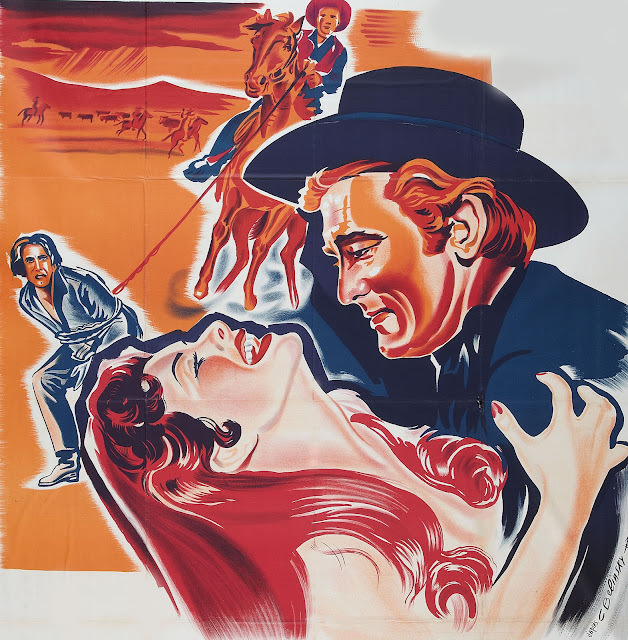 The short distance between Man Without A Star and Away All Boats saw Chandler's stock rise to a point nearing equal with names of KD's stature, Universal's goal being parity for leading men pledged to the lot. 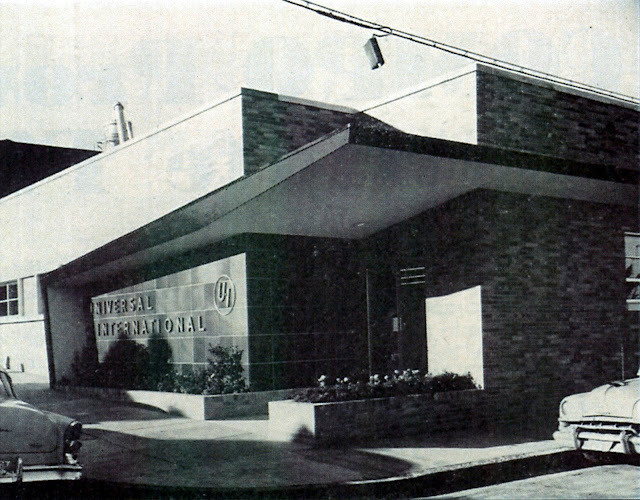 U-I personnel would hard-earn placement alongside Douglas on marquees --- Tony Curtis with The Vikings (for UA), Rock Hudson in The Last Sunset. I don't know of another company that so successfully manufactured stars after studio systems had otherwise collapsed. Behind Her Many Years Before? Universal product of the 50's can fascinate most along margins. Man Without A Star stands contractee Mara Corday among free-lancing Claire Trevor and Jeanne Crain ... a line here, gesture there, at all times making her presence felt. Starlet/pin-up at the time Corday said later that her Universal option had just been picked up (check out Western Clippings' excellent interview for this and more). 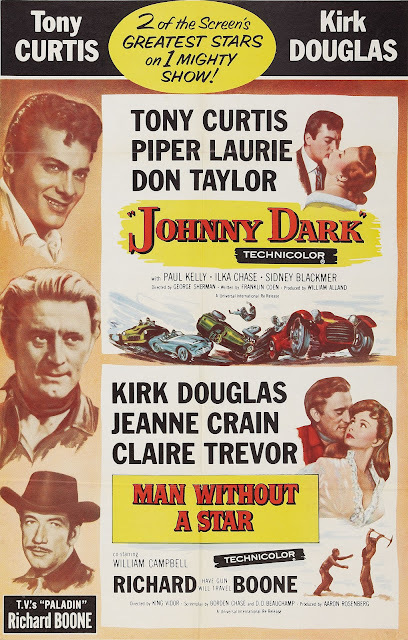 MC also remembered Kirk Douglas lording it over "little King Vidor" and the director having always to defer to Star's star. For her part, Mara told high-handing Kirk to "Go screw yourself. I just got renewed." Interesting to follow Corday's progression from this to virtual second lead in Foxfire, then female top-billing with Tarantula. Had she arrived ten years sooner, hers might have been a career in top brackets --- by the 50's however, ingénue climbs took shorter ladders, all collapsible. Man Without A Star helped see out three-color Technicolor picture-making. Within the year, all would go Eastman-shot routes, with Technicolor used for manufacture of prints only. To haul three-strip cameras about was like having a piano strapped to your shoulder (weight: 600 lbs.). 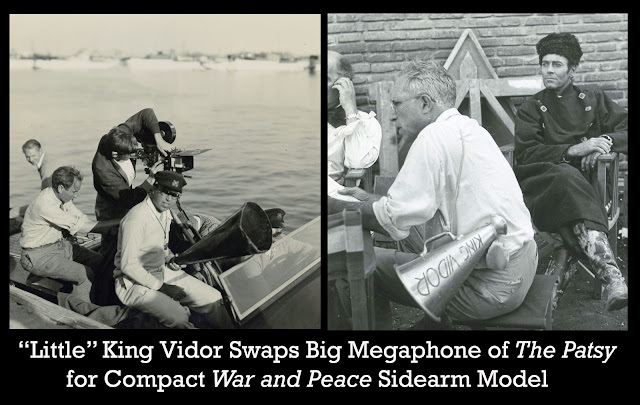 Vidor and company enjoyed not modern benefit of feature-making via hand-held phone. Physical discomforts of old-style Tech were rife. Set temperatures got ghastly for light they poured on actors ... dead fainting could and did happen. Universal seems to have been last to give up three-strip blimps (one falling on a man would surely be fatal --- did such mishap ever occur?). Within months of Man Without A Star was This Island Earth and Foxfire, these said to be very last start-to-finish Tech jobs. All were stunners when IB printed --- 16mm collectors especially prized Earth for its saturation. 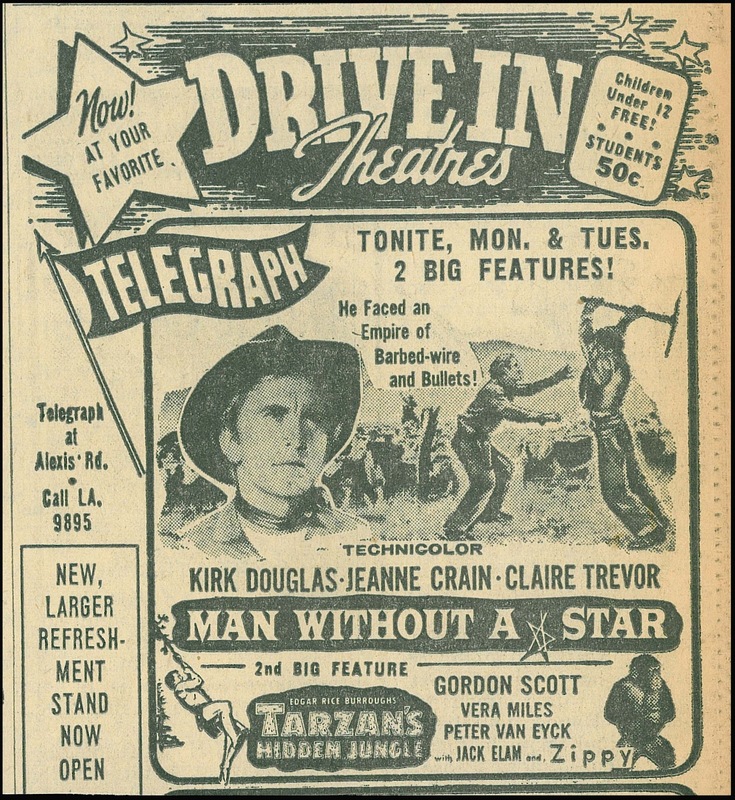 U-I's tendered newsreels, musical shorts, and Woodpecker (as in Woody) cartunes to round out Man Without A Star and other product from the company. A best outcome for distribution was programs they supplied in toto --- no second feature from rival outfits, nor need to split rentals. 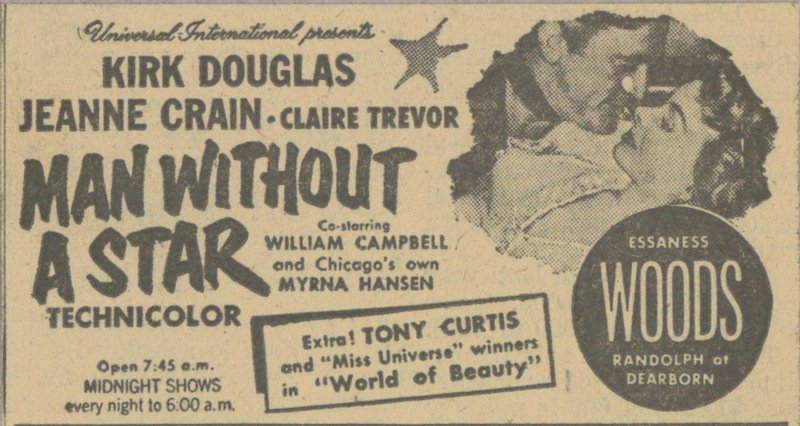 Two-reel A World Of Beauty was pressbook-proposed appetizer for Man Without A Star. Not coincidental was Beauty's lead, Myrna Hansen, being also the western's principal ingénue. Hansen had been America's pick for 1952's Miss Universe pageant, the latter heavily underwritten by U-I and held in Long Beach annually since 1950. 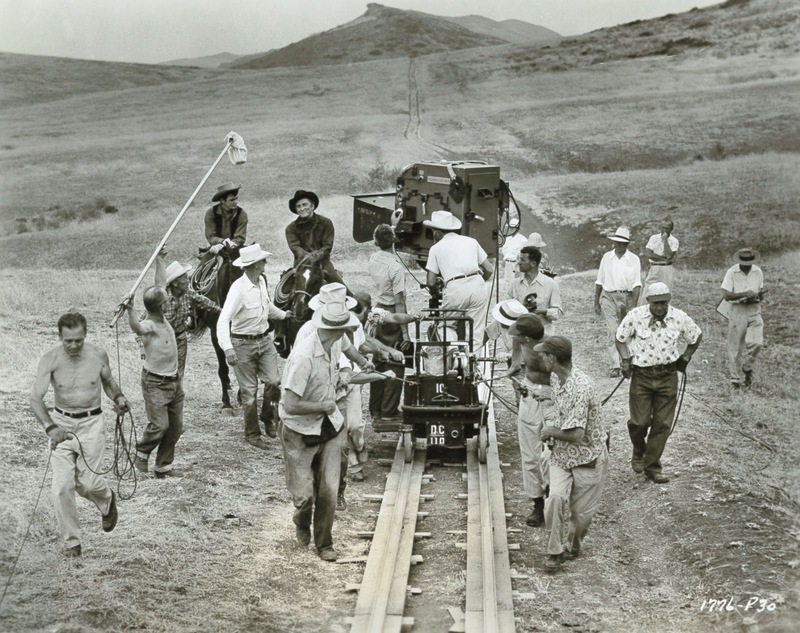 Dual purpose of festivities was to scout talent and generate yearly Technicolor shorts, girls who won awarded with six-month studio pacts at $250 per week. Runners-up might draw three months and $200 (sometimes less). Uni casting directors would help judge the meets. Trade press assured that contestants were all but "locked up" at night by their chaperones, lest we'd imagine U-I execs took unseemly advantage of star-struck hopefuls. As things turned out, Myrna Hansen was the only Miss Universe contractee to make a thesping go, albeit short-lived (she left U-I within a year after MWAS). Mostly the pageant was for ginning squibs and swimsuit footage to augment U-I newsreels and the Technicolor shorts released each Spring. Winners were sent worldwide to plug Universal releases and some entertained in Vegas --- details beyond are sketchy --- one celebratory dinner was crashed by starlet siren Mamie Van Doren, whose "sauntering" entrance "encased in a gold lamé gown ... stole the thunder" from Miss Universe participants, according to Variety. On-lot talent was pressed to pageant-participate, including Piper Laurie, who served as both judge and "The Spirit Of Miss Universe" on one occasion, an experience she wrote about in last year's compelling memoir, Learning To Live Out Loud. No studio kept contract youth busier during the 50's than U-I --- for that matter, none pursued star-making so vigorously in that twilight of a system's Golden Era. Universal's Miss Universe subjects are seemingly nowhere today (there were near a half-dozen), none so far released on DVD (why would U bother?). I came across A World Of Beauty years ago on 16mm and just watched again (surprised the projector still runs). Host Tony Curtis introduces the bevy of beauty around a sound stage pool to Pete Rugolo's band accompaniment (A World Of Beauty does not appear among Curtis credits at IMDB). Contestants are first (and mostly thereafter) seen in bathing attire. Technicolor enhances proceedings --- this must have sparkled on wide 35mm. Does Universal even know A World Of Beauty sits (well, we hope it still does) among vault treasures?